Elizabeth Faith “Elsie” McKnight, 79, our beloved angel on Earth, has joined her heavenly family. Our Lord in His mercy has taken away the Alzheimer’s that had robbed her of the loving memories she shared with her husband, Dean, her family and her friends, and replaced it with peace and joy. Elsie was born in Altoona, daughter of Ludwig and Mary (Martino) Kerscher. She married Dean E. McKnight in the St. Marks Catholic Church, Altoona, on Oct. 27, 1962. Elsie is survived by her husband, Dean; her brother, Robert, and wife, Cindy, of Dale City, Va.; a brother-in law, Dewayne, and his wife, Debbie, of Altoona; a brother-in-law, Danny McKnight, and his wife, Sue, of Butler; a brother-in-law, Donald McKnight, and friend, Kelly, of Martinsburg; a nephew, John McKnight, of Atlanta, Ga.; a nephew, Andrew Kerscher, and his wife, Emily, of Richmond, Va.; a niece, Beth Impson, her husband, Matt, and their children Ben and Joey of Dale City, Va.; a niece Wendy, her husband, Michael, and their children Abby, Bella, Emily, Nolan and Alex of Fredericksburg, Va.
Elsie and Dean resided in Hollidaysburg and attended St. John the Evangelist Catholic Church in Lakemont, Altoona. Elsie had a 25-year career in finance. 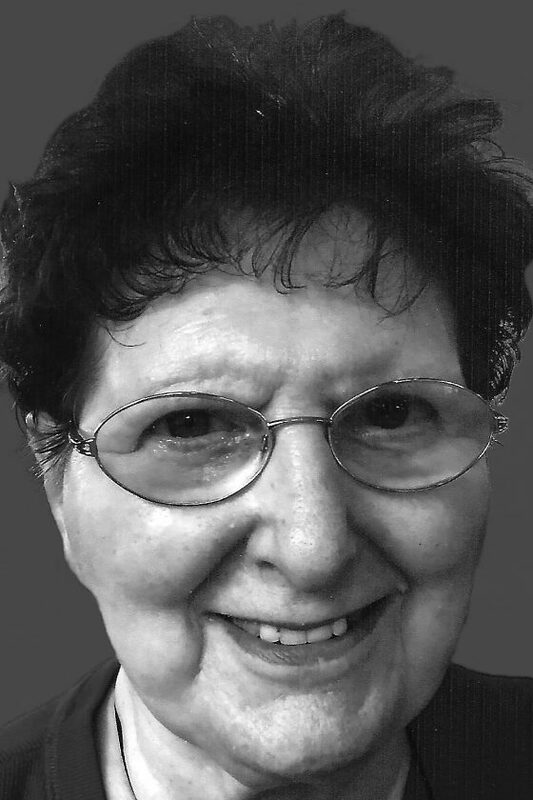 After retiring and returning home to Altoona, she enjoyed working with the 1957 class reunion committee with her husband. A great thank you goes out to the AseraCare Hospice workers and to the dedicated caregivers at Graystone Manor and The Lutheran Home at Hollidaysburg. A special thank you to Barbara Stubbs for the significant care you provided to Elsie. Friends will be received from 4 to 8 p.m. Tuesday, April 16, 2019, at Myers-Somers Funeral Home Inc., 501 Sixth Ave., Altoona, where a vigil service for the deceased will be held during the visitation. A funeral Mass will be celebrated at 10 a.m. on Wednesday, April 17, 2019, at St. John the Evangelist Catholic Church, Lakemont, Altoona, with Monsignor Michael Becker officiating. In lieu of flowers, Dean requests memorial donations please be made to Shriners Hospitals for Children, c/o Jaffa Shrine, P.O. Box 1984, Altoona, PA 16603-1984, Altoona Community Theatre, P.O. Box 908, 1213 12th St., Altoona, PA 16603 or to St. John the Evangelist Catholic Church, 309 Lotz Ave., Lakemont, Altoona, PA 16602.